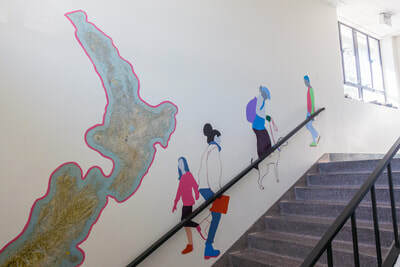 Time Scales was commissioned by the University of California, Santa Barbara - Department of Earth Science in 2018. 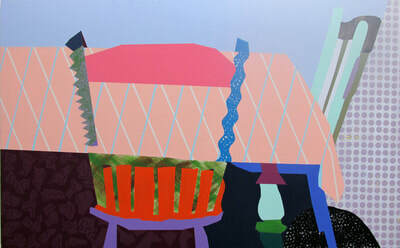 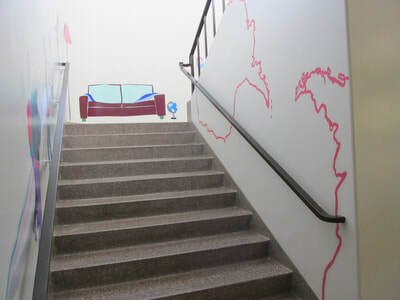 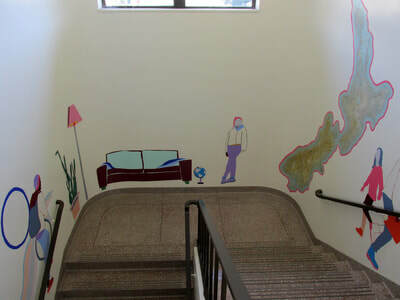 This mural is inspired by late night conversations with my college roommate and friend geologist Laura Reynolds, PhD. 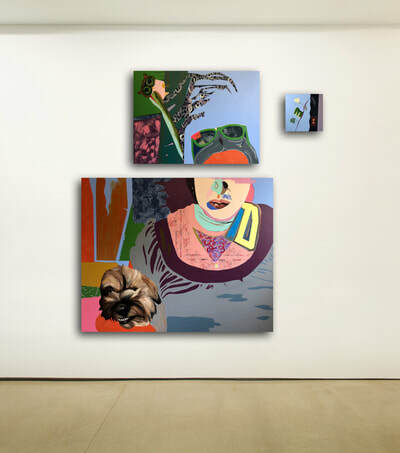 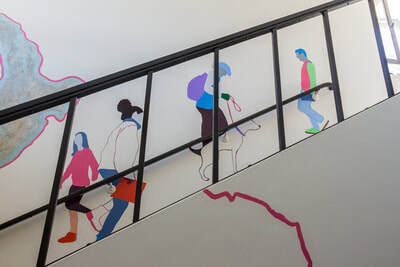 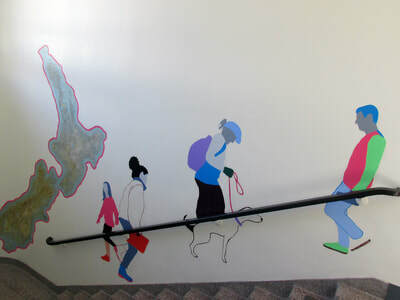 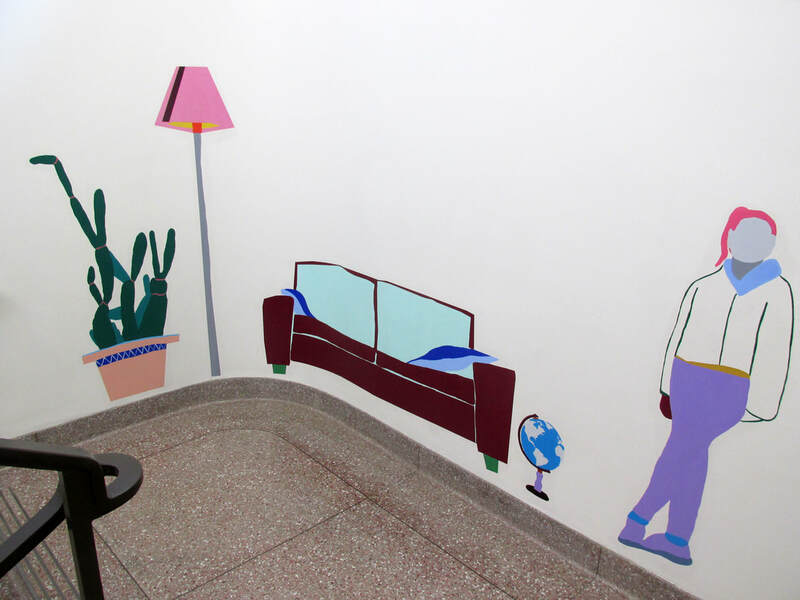 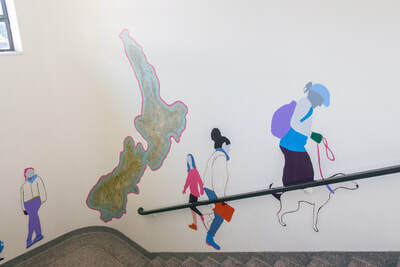 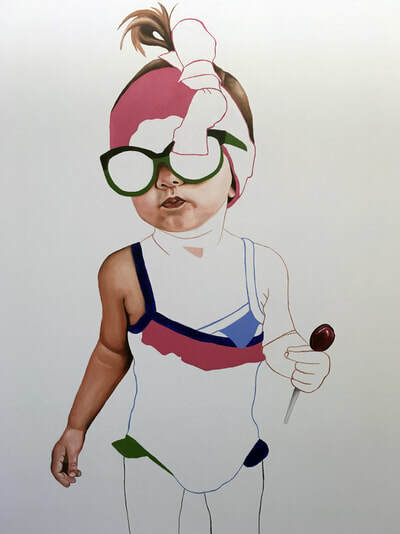 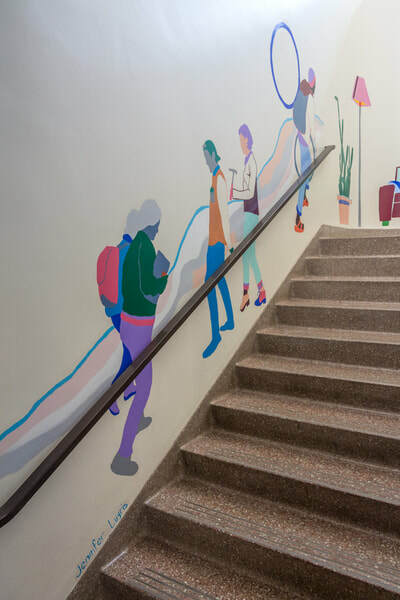 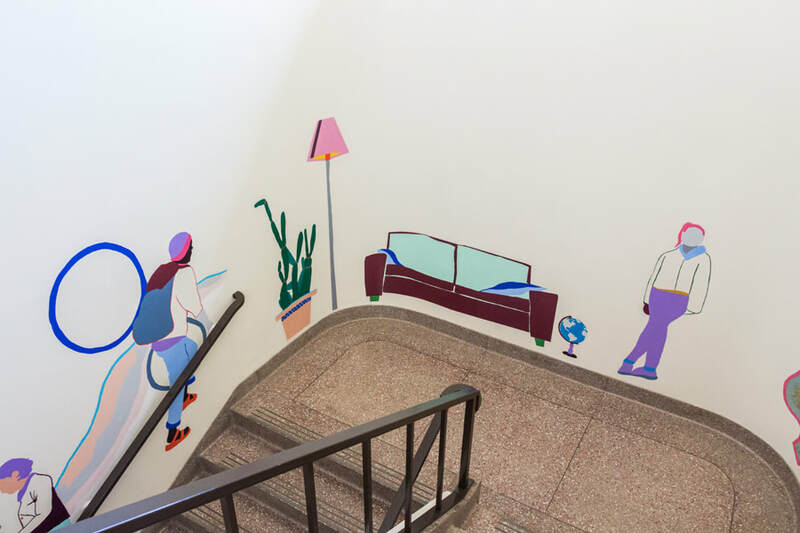 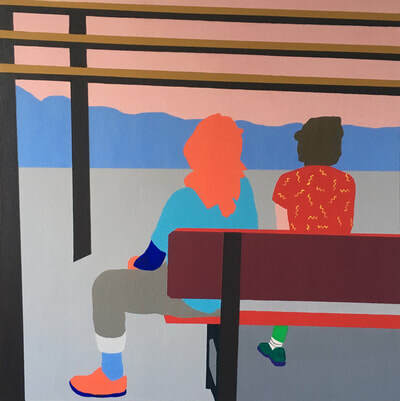 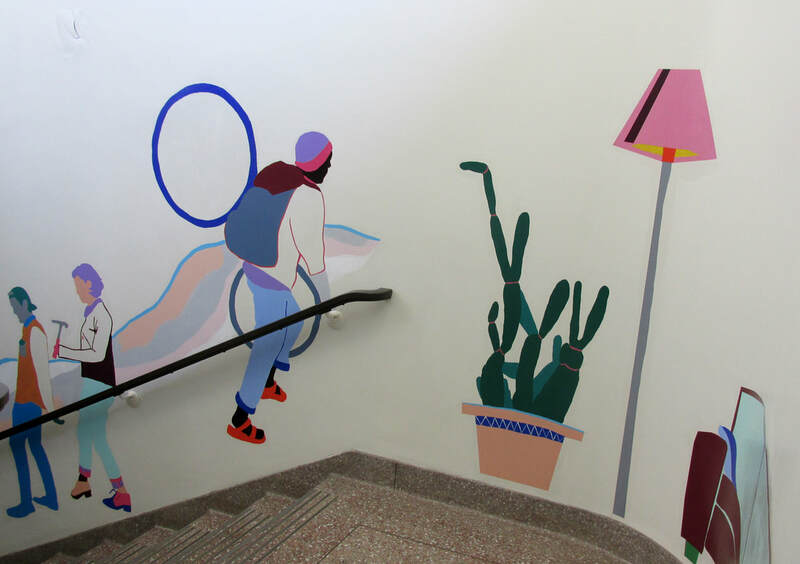 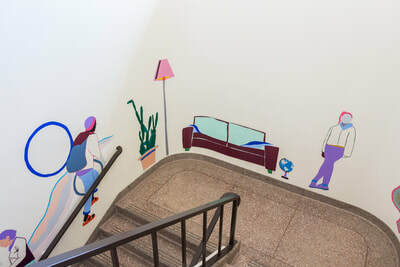 In Time Scales I consider duration and movement as I paint students scurrying through the stairwells, alongside stagnant office furniture and gradually growing plants. 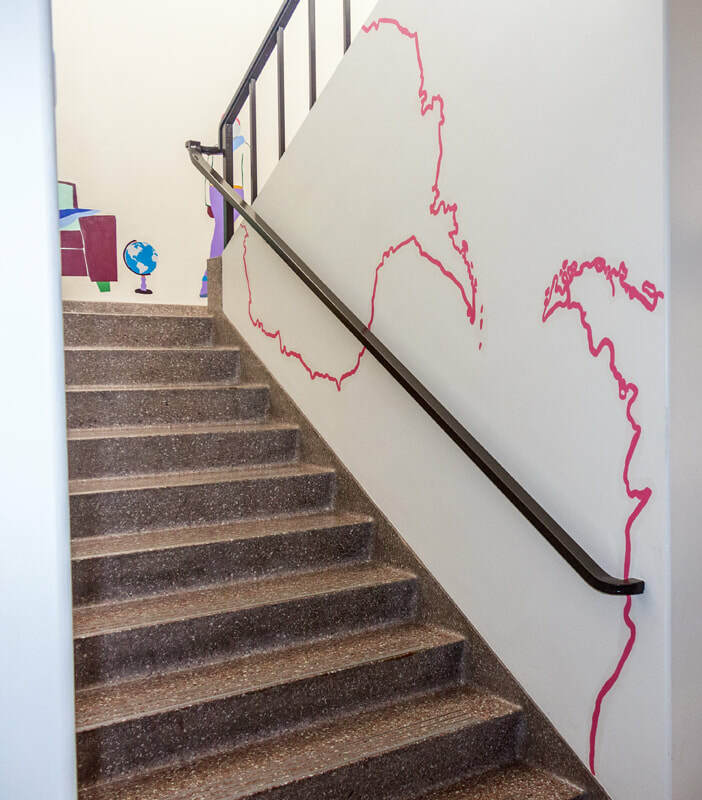 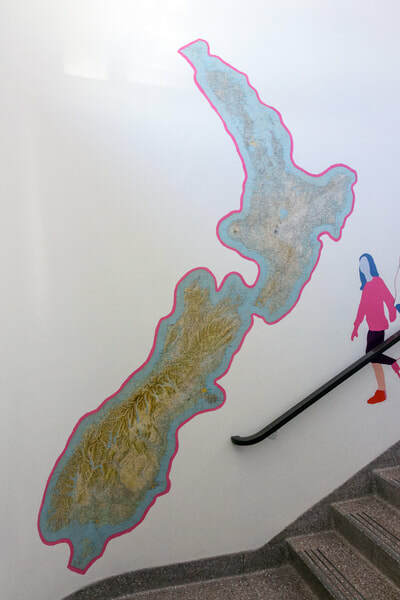 The mural preserves the aged map of New Zealand and concludes with the outline of Antarctica adjacent to the southern tip of South America, including the country of Uruguay where my father is from. 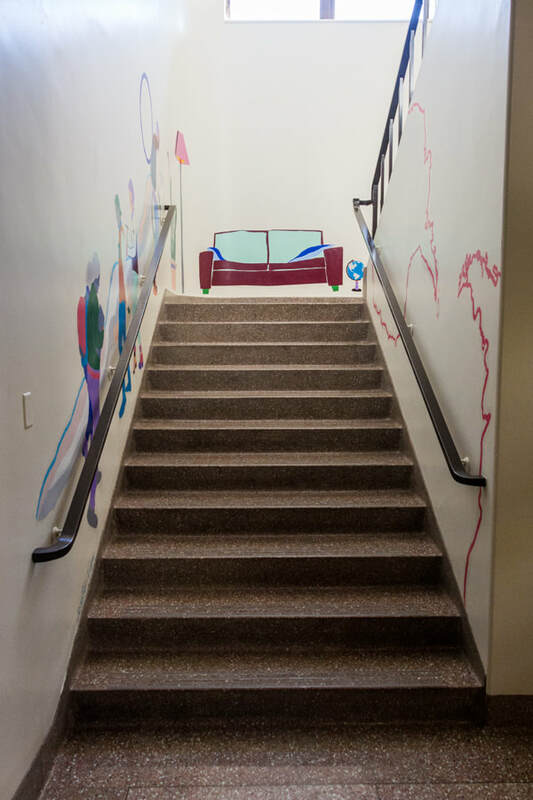 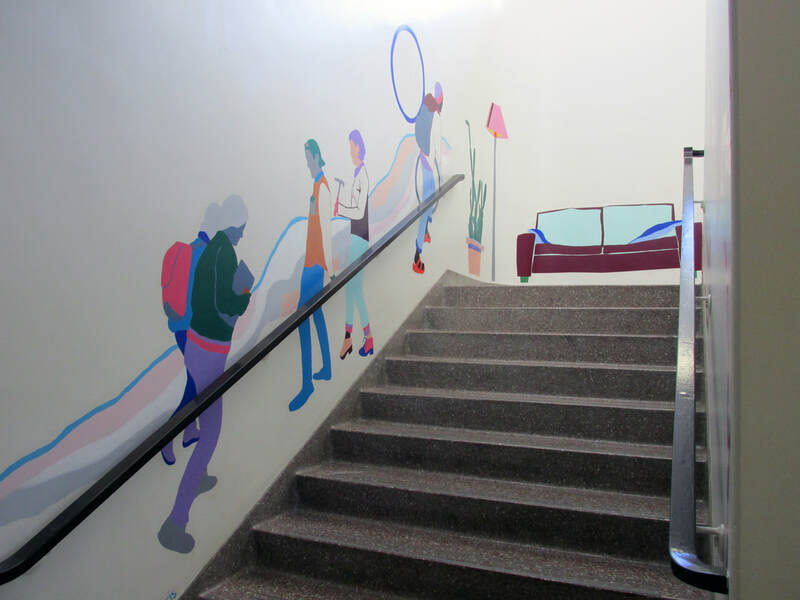 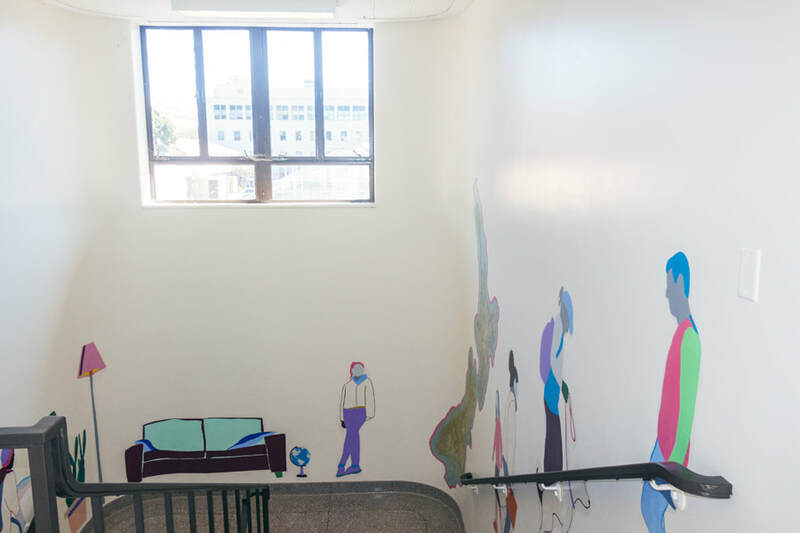 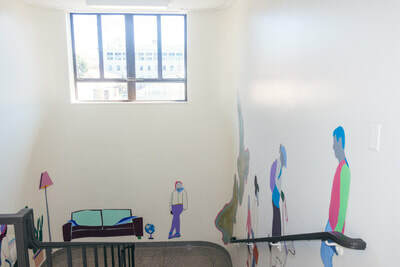 This mural commemorates individuals who have passed through these halls and their contributions.